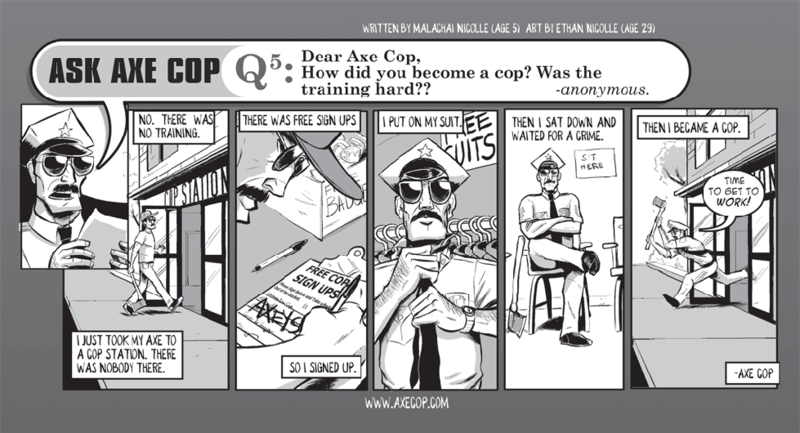 How did Axe Cop become a Cop? Did you forget to bring your own axe? It’s a mistake many recruits make. That explains so much, really.